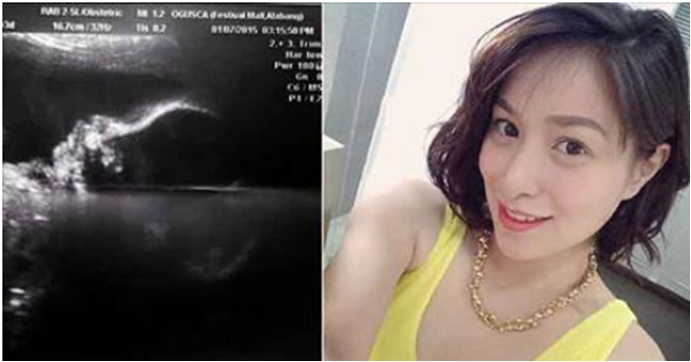 Just like all the first time mothers, Cristine Reyes did not held back as she became emotional upon seeing her baby on the ultrasound image. On her official Instagram account, Cristine Reyes posted the picture of her baby girl. It was the copy of the ultrasound image that was given out to the mommies. It was posted on January 9. 2015 the same time as the Feast of the Nazareno. It was the very first picture of their baby girl. Although it was not giving the whole appearance of the baby, Cristine became emotional upon seeing her little angel. It was the first baby of the actress with her MMA fighter boyfriend, Ali Khatibi. It was a very joyful event for the life of the couple as they looked into their future little girl. The photo had a caption of, “Profile view of my daughter inside my tummy. I just can’t wait anymore my little angel. You are one of my five most precious treasures in my heart. The five treasures that gives real JOY and MEANING into my life”.